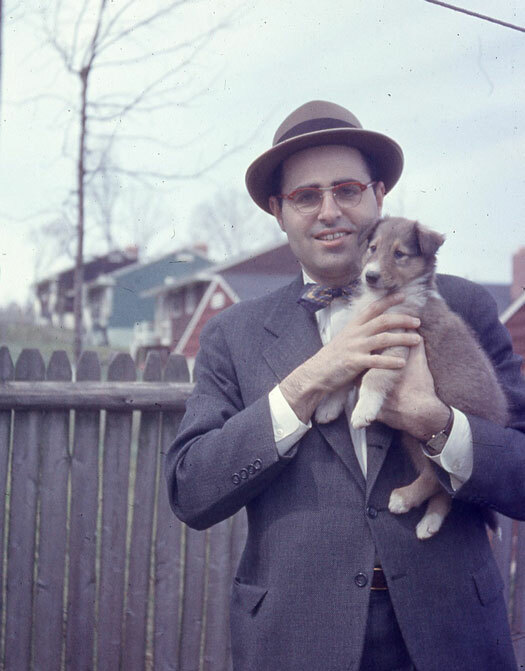 My Dad, who would have been 91 tomorrow, was a lifelong cat lover, but he had room in his heart for dogs. This is Laddy, our collie who made life interesting in our tiny house until he bit the mailman and had to move to a farm where there was more room for him to run off his high energy. Did we learn nothing from Planet of the Apes? While that classic sci-fi film may be a bit dated and far-fetched, the ideas it raised remain compelling. In particular, the way the film exposes the tendency of humans to view themselves as masters of all other species. Of course, we have books, written by humans, which codify this conceit. However, simply because something is written in a book, or even a law, doesn’t make it necessarily true or right. The argument has been around for centuries, long before Darwin suggested another way of looking at things. Yet we are no closer to a clear understanding of the Big Picture, even when it’s screened on IMax. So why do I care? Well, this morning, in my glutton for punishment way, I was reading the newspaper and came across a story about recent research into the mechanisms that cause depression. Such studies have been going on for decades. You might hope they would have figured it out by now. But no. What they have figured out is how to cause debilitating depression in mice. And dogs. That’s when I began to feel depressed myself. I mean, obviously I understand the need to conduct research to find life-saving drugs. And I realize that it isn’t always possible to use human subjects for all tests. Yet when it comes to problems humans face, stress doesn’t seem to me to be high on the list. Yes, we live in stressful times. But there has always been stress. Being chased by a sabre-toothed tiger? Not exactly a theme-park thrill. Yet stress is a natural part of existence, and overcoming naturally occurring stress is part of the process of being alive. But there’s stress and there’s stress. Someone you love dies or becomes very ill, that’s stress. When someone forces you to walk barefoot on an electrified floor with no apparent means of escape, that’s torture. A different breed of stress entirely. That electrified floor was used on dogs in a well-known 1967 study which showed that when dogs are made to feel that they have no options, they develop what is called “learned helplessness.” In other words, they learn to give up hope. This induced depression can be traumatizing to a human. How much more traumatic it must be to a dog, a creature which has been bred to trust humans. I have no moral high ground on the issues of animal rights. I’m no vegetarian. But I draw the line at dogs. Also cats, but that’s a much harder argument to win. Dogs, on the other hand, are, in fact, Man’s Best Friend. Everybody knows this. Even people who claim to dislike dogs have to respect the heroic qualities of our canine companions. They sniff out bombs, they save babies from burning buildings, they lead the blind, they comfort the sick and aging. They go into battle and they don’t do it for medals. They do these things because we ask them to. For some incredible reason, dogs love us. God knows why. Some may argue that we humans deserve our “right” to dominion over all the animals because of our superior intellect. I would argue that if we wish to consider ourselves “superior” to any other species the proof of this edge must begin with greater compassion for all other species. But especially dogs. A few years ago the brilliant comic writer Tom Holt penned a remarkable satire called Blonde Bombshell which riffed wildly on the idea of a planet where “a dog’s best friend is his man.” It’s a lot funnier than Planet of the Apes, though that may owe something to the fact that a human dressed up as an ape could never hope to rival a golden retriever. It’s been more than two thousand years since a wise teacher gave us a golden tip: “Do unto others as you would have them do unto you.” The luster of that line has sadly dimmed in these me-first times, and realistically, maybe we’ll never be able to love one another. But if we can at least learn to treat our best friends as well as we’d like to be treated, that would be a start.